There's no thinking without a good breakfast! 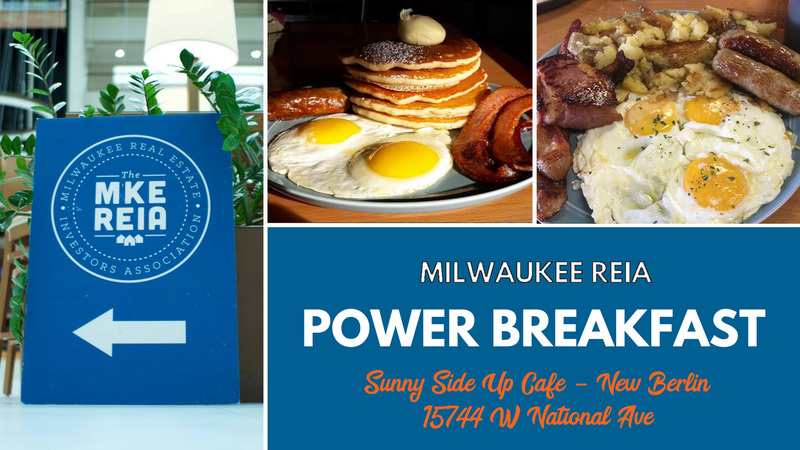 An interactive meeting format, the Milwaukee REIA Power Breakfast is a chance for you to participate in the development of the meeting itself. Typically one of our amazing Business Partners will have a featured presentation to drop some industry knowledge on you, or we may have an open forum to discuss your deals, challenges and triumphs. Come on out for a great meal and the company of like-minded individuals to keep you motivated and inspired. We are back from summer break and we have a new location! HOST Christy Librizzi Our Community Director, Christy, will be facilitating this month's Breakfast, keeping things on schedule! TOPIC Open Forum Welcome back! Let's try out our new space and talk about real estate! Bring your questions, triumphs, challenges or deals to discuss with the group.